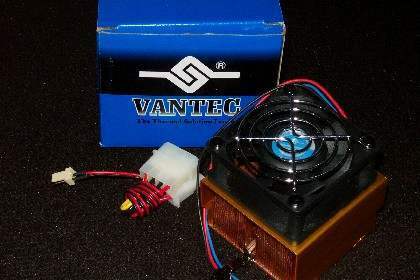 We have another player in the copper heatsink field, this time the CCK-6035D from Vantec. 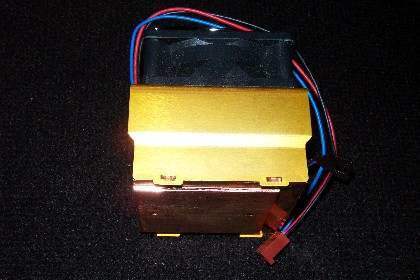 Vantec has made numerous heatsinks and other coolers for the past few years, and quality is their main concern. 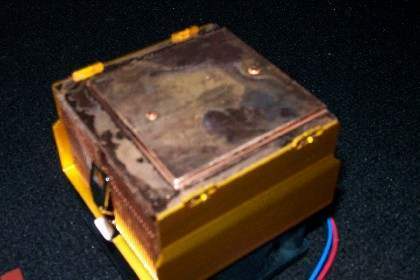 We knew it was time that Vantec came out with a copper cooler of their own to combat the other big names. Does it perform as well as the others? The unit comes in a nice blue box, you may get a different color. Anyway, the cooler, a 3pin-4pin adapter and a packet of white thermal grease is included. Here are some specs on the unit. 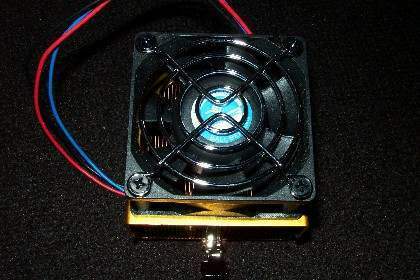 The fan comes with a 60mm grill, having clocked this fan spinning up at about 7000 rpm, the grill is a must. I did notice that this fan was particularly familiar. We'll check it out later in the review. The unit is not as heavy as some of the other copper units we came across. 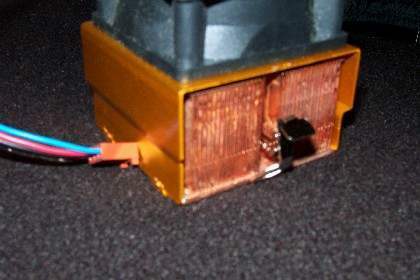 An aluminum cover is placed over the copper coils. 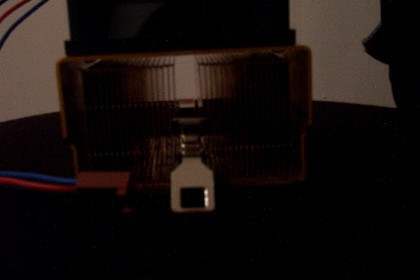 The coils remind me of the interleaving ones seen on the Thermalright SK-6. 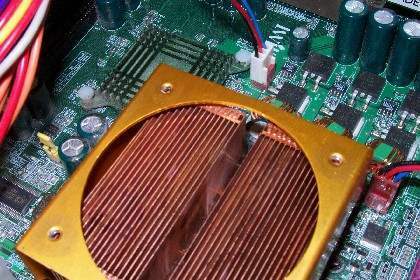 Will this unit compare to the cooling power of the SK6 due to these interleaving coils? The clip is longer measuring in at about a whole inch in height. Pushing this clip down was very easy, we didn't even have to use a screwdriver. The bottom of the unit seems to need a little cleaning, ok maybe a lot of cleaning. We'll leave it at that and won't bother lapping it clean, but you may want to consider doing it when you receive the unit. As far as touch goes, there aren't any grooves or bumps on the bottom.